Kittanning (PA) Grace Brethren Church (Larry Edwards, pastor) has called Matt Owlett as their Youth Pastor and Chaplain of their Christian school. Matt, his wife Julee and Daniel, their nine-month old son, arrived in Kittanning September 1, from the Scranton, Pa., area. There will be a commissioning service for Matt on September 9. 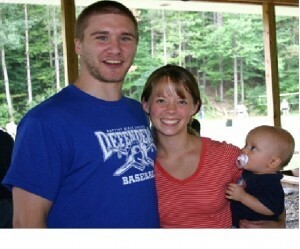 Matt is a graduate of Baptist Bible College and is pursuing his seminary degree. As a youth, Matt attended the youth meetings at the Palmyra, Pa. Grace Brethren Church and has served as a counselor/speaker at Camp Mantowagan of the West Penn District. Julee attended and served at Camp Mantowagan for nine years.